As a teenager, Jerry Cohen was a counsellor in the Montreal Jewish socialist summer camp Kinderland, where, in the words of one of his young charges, “the sons and daughters of 1950s leftists spent July and August waging class struggle against mosquitoes and boredom”. These summer expeditions left a lasting impression: decades later, Cohen fondly recalled campfire songs from Kinderland at his inauguration as Chichele Professor in All Souls college chapel; and a camping trip serves as the prime illustration of the virtues of socialism in his latest and last work, a lively discussion of political morality. It is now universally recognized within science that humanity is confronting the prospect — if we do not soon change course — of a planetary ecological collapse. Not only is the global ecological crisis becoming more and more severe, with the time in which to address it fast running out, but the dominant environmental strategies are also forms of denial, demonstrably doomed to fail, judging by their own limited objectives. This tragic failure, I will argue, can be attributed to the refusal of the powers that be to address the roots of the ecological problem in capitalist production and the resulting necessity of ecological and social revolution. When we speak today of the world ecological crisis, however, we are referring to something that could turn out to be final, i.e., there is a high probability, if we do not quickly change course, of a terminal crisis — a death of the whole anthropocene, the period of human dominance of the planet. Human actions are generating environmental changes that threaten the extermination of most species on the planet, along with civilization, and conceivably our own species as well. Copenhagen was the scene of a historic battle in the framework of the 15th Conference of the United Nations Convention on Climate Change (COP15). Better said, in the beautiful, snowy capital of Denmark, a battle began that did not end on Friday, December 18, 2009. I reiterate: Copenhagen was only the beginning of a decisive battle for the salvation of the planet. It was a battle in the realm of ideas and in praxis. Brazilian Leonardo Boff, a great liberation theologian and one of the most authoritative voices on environmental issues, in a key article, entitled What is at stake in Copenhagen?, wrote these words full of insight and courage: What can we expect from Copenhagen? At least this simple confession: We cannot continue like this. And a simple proposition: Let’s change course. And for that reason, precisely, we went to Copenhagen to battle for a change of course on behalf of Venezuela, on behalf of the Bolivarian Alliance (ALBA), and moreover, in defence of the cause of humanity and to speak, with President Evo Morales, in defence of the rights of Pachamama, of Mother Earth. Evo, who together with yours truly, had the responsibility to be a spokesperson for the Bolivarian Alliance, wisely said: What this debate is about, is whether we are going to live or we are going to die. Democracy Now speak with Venezuelan President Hugo Chavez about climate change, the Copenhagen summit and President Obama. Chavez accuses calls the COP15 summit undemocratic and accuses world leaders of only seeking a face-saving agreement. We must reduce all the emissions that are destroying the planet, Chavez says. That requires a change in the economic model: we must go from capitalism to socialism. What Would A Socialist Alternative To Capitalism Look Like? 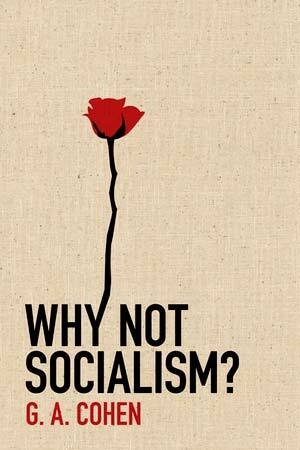 What would a socialist alternative to capitalism be like? The following documentary on the social change taking place in Venezuela gives us an insight into the type of changes that would follow if a socialist government were ever to be elected. What Would Socialist Democracy Look Like? Is It Time To Turn Our Backs On Capitalism and Give Socialism A Chance? Capitalism is alienation and anti-sociality. It is not a success. It is not intelligent, it is not beautiful, it is not just, it is not virtuous — and it doesn’t deliver the goods. In short, we dislike it, and we are beginning to despise it. But when we wonder what to put in its place, we are extremely perplexed. What do we want instead? In a socialist society the means of production  are owned by the workers rather than by a rich minority of capitalists or functionaries. Such a system of ownership is both collective and individual in nature. It is collective because society can control production unlike the economic anarchy of capitalism and because production is for the common good rather than for individual profit. At the same time it is individual because workers are no longer a ‘collective’ mob of alienated non-owners employed by a minority of owners. Work becomes a free and self-affirming activity for each worker and they receive the full fruits of their labor. The capitalists and their servants no longer control production nor grow rich from other’s toil. Everybody is an owner. Socialism is genuine free enterprise. The personally empowering and cooperative nature of socialist ownership underpins similar changes in other aspects of life. Socialism means far healthier individuals and human relationships. It means full participation by each individual in the intellectual, cultural and political life of society. Socialism requires a revolution with three main stages: firstly the emergence of a workers’ movement committed to socialist revolution, secondly the achievement of political power and the expropriation of the capitalists and thirdly a period during which workers learn how to be owners and rulers and cast off the psychological and ideological dross of the past. Socialism will not be an utopia simply created in people’s minds. It will be the product of economic and social development. In developed countries it is now possible for everyone to live a reasonably affluent life and be free of long hours of routine toil. This creates a better basis for cooperation and mutual regard. Historically, where equality would have meant shared poverty, it was inevitable that a minority would plunder, enslave and exploit the majority. At the same time rank and file workers are progressively acquiring through their experiences, the abilities to do without an elite. Their general level of education and training has advanced significantly over the last couple of generations. The work they do, while still totally oppressive, has an increasingly mental and conceptual content. And they now have extensive access to cultural and intellectual resources and the diverse experiences of living in a modern society. So while socialism was impossible in the past, these emerging conditions make it inevitable in the future. Footnote . The means of production comprise everything, except labor, that is used in production, namely, factories, plant, equipment, offices, shops, raw materials, fuel and components. It is time for the public to wake up. Time to open our eyes. The expenses scandal. The killing of Ian Tomlinson. Heavy handed police aggression during recent legitimate protests. The banking crisis. The Credit Crunch. The huge debts that have been put on future generations shoulders. It is time for real change and to put people first. The only system that will truly do this is socialism. Find out more. Visit the Socialist Worker.